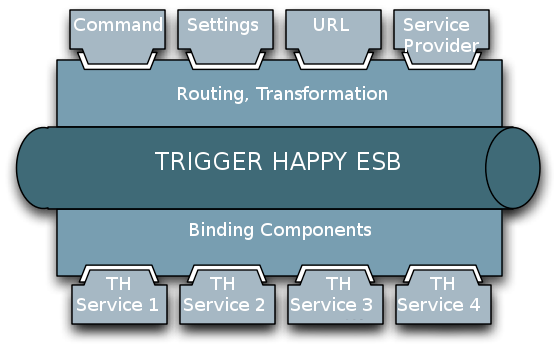 Trigger Happy is a free software that provides a “bus” to automatically share data between popular services you use on the web. The goal of this project is to be independent from any other solution like IFTTT, CloudWork or others. Thus you could host your own solution and manage your own triggers without depending on any non-open solution. And then, instead of giving your credentials to those companies, keep them with your own Trigger Happy to keep the control of your data! A news is published on your favorites website, Trigger Happy will be able to automatically create a bookmark on your own Wallabag account, for later use, or create a note in your Evernote notebook. On your Slack or Mattermost community channel, Trigger Happy can publish the issue of github. The bus for your internet services.